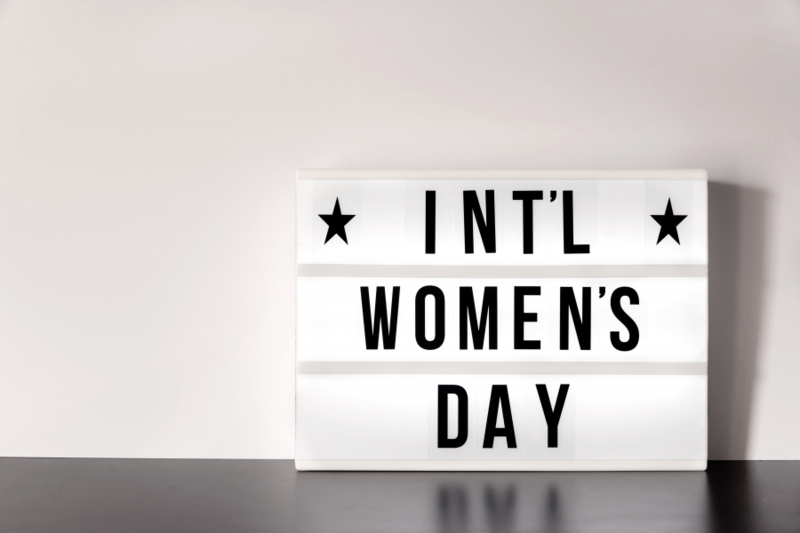 PharmaDispatch spoke with a number of senior industry leaders ahead of International Women's Day today to learn more about their thoughts and experiences on gender equality. Ms McGregor told PharmaDispatch the day is an opportunity to celebrate the remarkable women in our lives. "We know who they are - our mothers, sisters, friends, leaders, managers and colleagues. In my personal life, I know and have known some remarkable women, including an extraordinary grandmother who was the first in our family to attend university. I am also the mother of a daughter and two sons, so how do I play that inspiration forward? "Today is also a call to action. Men and women deserve to be equally valued and respected - to have the opportunity to be the best they can be. How are we creating that environment? Are we there yet and have we nailed it? Probably not, so we need to do more, but it is a wonderful moment." Ms McGregor said one of her career observations is that women tend to second-guess themselves. "There can be a nervousness or lack of confidence to pursue opportunities. Women often feel they have to fulfil all the requirements of a job whereas men tend to be more confident. It is a generalisation but an observation based on my experience. "At Pfizer, we have a lot of conversations with women about needing to be comfortable with being uncomfortable. We also promote the role of a sponsor, who can be the person to give us a little push and encouragement. This is different to a mentor. We encourage people to be sponsors and seek out sponsors. "We also have a women's leadership network and are broadening that to a gender equity network because it is an important conversation for both men and women. "As a leader, I have become very conscious of my shadow. Leaders cast shadows and we need to make sure we are casting the right shadow. I personally reflect on that, a lot, that it is not just what we say but how we behave." Mr Goodwin is a Pay Equity Ambassador with the federal government's Workplace Gender Equality Agency (WGEA) and the executive sponsor of diversity and inclusion for the Johnson & Johnson Family of Companies in Australia and New Zealand. "We retained our designation as a WGEA employer of choice this year, which was great news. 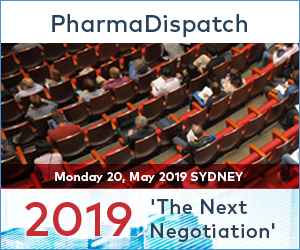 The agency talks about flexibility, parental leave and women in leadership, and that mirrors what we have been trying to do as a company," Mr Goodwin told PharmaDispatch. "You have to lead by example and one important measure is women in leadership. It is very easy to track results. We are an industry that talks about equality and we are heavily tilted towards women. In Janssen, the proportion of employees that are women is above 60 per cent. That means you should not see it pointing in the other direction at senior levels. "At Johnson & Johnson, we are progressively moving the level of representation at our most senior levels up - at Janssen, we are not quite at 50-50, but we are if you remove me. Our wider J&J country leadership group, which includes some functional heads, is majority women. "If you look at it across the economy and at other sectors, there is still an issue. Maybe there is still some doubt - people might think it does not apply to me - well, it does." Mr Goodwin said work flexibility is a priority but "it is one thing to have the policy, employees have to feel comfortable doing it. A very clear way to demonstrate that is for men to take the opportunities available with flexible arrangements. "An organisation simply cannot retain the best people without flexible arrangements - it is as simple as that. It supports our industry's purpose and promotes retention. We have worked with our managers on expectations and why it is important - training on how to manage these situations." The AstraZeneca boss says while she sees herself as a senior leader, she also understands that many younger women see her as a senior female leader. "I take on that mantle with pride," she told PharmaDispatch. "It is a real responsibility to be a role model, I accept that, and maybe it was a realisation I came to later in my career." Ms Chatwin said it is still a reality that young women may not look at career opportunities in the same way as their male peers. "I think in some quarters there is still that thought about what happens if I want a family and go on maternity leave - will it slow my career down? All our companies are getting much better at addressing that concern because, in the end, we want to retain these talented women. "I also tell young women not to wait to be found - tell your own story. From a company perspective, we want all young people to succeed, men and women, because they all bring different things and diversity leads to better outcomes." On flexibility and work-life balance, Ms Chatwin said the issue is just as important for men as it is for women. "It is a personal thing because balance for one person may not be balance for another. It also changes throughout your life. "I had a period in my life where the balance was very bad and it really affected me. It would have affected anyone, man or woman. I said to myself it will never happen again but it does change throughout your life. "These are important workplace conversations. As a company, we have policies that promote flexibility and agility, but they are the framework for conversations between managers and their teams." Ms Chiroiu highlighted the importance of "women who have been role models" in her own career. "For me, meeting female CEOs and seeing what was possible, and when it was still frowned upon to be a working mother. I think it was important to see that it was a realistic aspiration. "I do not see myself as a role model, in those terms, but think about the practical things I can do as a leader such as creating opportunities for people to participate. I think about marginalised groups most often in the sense of fairness and justice. "The fact is women are still marginalised. You just have to see the lack of women in CEO roles. I also attended a conference last year where the female speakers were outnumbered by those with the name Michael - 90 per cent of the speakers were men. "What can be done about this? Well, the problem is well-articulated but the focus needs to be on turning that into action. That is the focus of our annual Women in Life Sciences Luncheon. It is a step but an important one. We need to be conscious of it, like having 50-50 gender split in speakers at our AusBiotech events, and that is already showing significant benefits." Ms O'Doherty says "our understanding of the issues has become clearer in the past five-to-ten years." "Challenges remain. We have a gap when it comes to women in senior leadership, which is a fact, and that contributes to a structural pay gap. "People do not always understand the difference between the structural and like-for-like pay gaps. This is actually quite simple. The like-for-like pay gap simply should not exist because that is the law. There is a legislative requirement for like-for-like pay equity. Of course, as a company, how would you know it exists if you do not do the analysis. Only around one-third of companies in our industry do the analysis - do that, and then make this like-for-like gap go away. "The structural pay gap takes much longer because it reflects the fact there are fewer women in senior roles. However, and again, this needs to be measured and addressed over time. "To me, as a data-driven industry, these are all incredibly important measures, and it is frustrating to me that the business benefits of gender equity and broader diversity are not always recognised. Some companies get it and some do not. Maybe some leaders have a prejudice against it, I do not know, but I find that difficult to grasp because it makes change difficult and does not recognise the proven benefits to a business." The MA boss said the association decided to co-sponsor AusBiotech's annual Women in Life Sciences Luncheon having attended in recent years. "We want to support the lunch because it provides an opportunity to showcase the life sciences sector." "At one of the previous luncheon's, Pfizer managing director Melissa McGregor, who is also our deputy chair, spoke about women having courage. Her comments were a real epiphany for me. "She highlighted data that showed women tend to discount their skillset compared to men when it comes to pursuing professional opportunities. "The point was that the perfect can be the enemy of the good and that is what has held me back over the years," said Ms de Somer. "The pharmaceutical sector is quite female dominated. We have a lot of successful and passionate women. Unfortunately, the representation of women tends to drop-off at more senior levels. "At MA, which is a small organisation, we are fortunate to recently have recruited some fantastic people, including many women." Managing director Leah Goodman said Merck will be marking International Women's Day and attending today's Women in Life Sciences Luncheon. Ms Goodman, who was recognised with a global women's leadership award during her tenure at Sanofi, said, “I’m proud of our record and the fact that more than 60% of our Australian and New Zealand workforce are women.